The Reflective Horse® Mastery Program is a unique education program applying the principles of Equine Guided Empowerment® developed and utilized by Cassandra Ogier during her extensive career as an equine guided facilitator. Participants have the opportunity to develop equine guided facilitation skills through hands-on coursework and mentorship over a 10 month period. 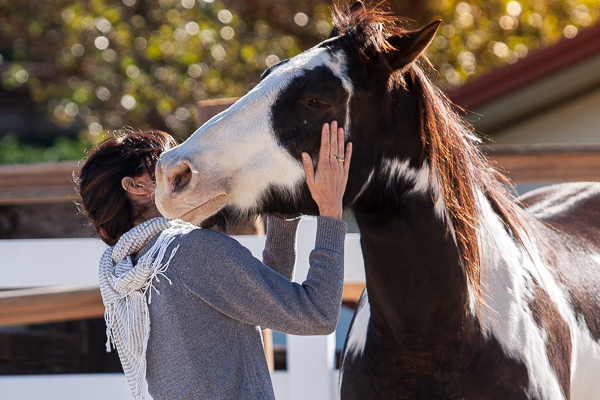 Extending the influence of her client focused work, The Reflective Horse® Mastery Program seeks to expand the reach of Cassandra’s practice as well as support other facilitators in bringing the benefits of Equine Guided Empowerment® to their communities. Her approach to equine guided facilitation and immersion in the living intelligence of horses and nature, breaks new ground in partnering with horses to encourage personal development and therapeutic breakthroughs. Moving away from traditional models that tend toward subjugation and control of the horse that have characterized equine therapy over the last decade, Equine Guided Empowerment® is rooted in the concept of free beings, horses and humans, joining together in partnership to achieve awareness, understanding and insight. For more on Equine Guided Empowerment®, please visit the program detail page. TRH™ Mastery program is segmented into three immersive 5-6 day modules and supplemented through a series of exceptional guest webinars, guest facilitation and hands-on coaching with Cassandra to ensure that the experience brings a rounded understanding of Equine Guided Empowerment® from the inside out. The end result is an understanding of not only the practice, but the means by which each facilitator can apply their unique individuality to their professional work. Please visit our guest speakers page to see the latest list of speakers planned for the upcoming year. Individuals will be encouraged to experience the insights derived from Equine Guided Empowerment® first-hand through an immersive 5 day experience at Flag Ranch in California. A deeper understanding of the concepts that guide Equine Guided Empowerment® are explored in detail with a focus on the horse-client experience and program arc. Participants are encouraged to explore their innate wisdom as a facilitator and how their practice can be evolved to align with their experience, interests, and personalities. Participants will develop their own program and put the principles acquired over the previous months to practice in a guest-invited debut under Cassandra’s guidance. Basic business development and management acumen will also be covered to ensure that graduates are fully prepared to move forward with program development as well as the ability to manage their business. Additional detail including 2019/2020 dates and locations can be found on our events page. TRH™ Mastery Program is open to applicants wanting to become professional facilitators, and those who want to engage in a dynamic nature based personal exploration. Prerequisites are an asset, but not a requirement. Admission to the program is by application and determined based on criteria and a 1:1 interview with program founder Cassandra Ogier.